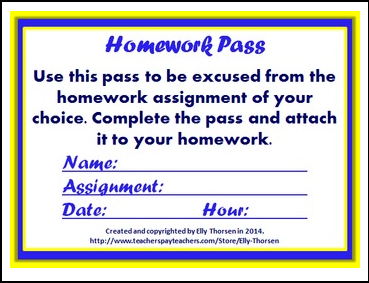 Use these homework passes as a reward for great student behavior. I use these for my middle school science classes but they can be used for any subject area and most grade levels. This document contains three different styles of homework passes. Take a look at my blog post about rewarding individual students and find more ideas about how you can reward students without spending money.